Its my 300th post and I wanted to take the time out again and thank all of my readers. Whether you check my site daily, pass thru occasionally, or new to my blog, keep checkin me out and know your views and comments are appreciated. Remember to keep spreading the word, voting on the polls, and posting comments keeping Hip Hop AD active. Also feel free to shoot me a suggestion or two to my email at l_the_hustla@yahoo.com. Hit up the full story to peep 10 of my favorite blogs that I wrote and let me know which ones you felt should’ve made the list. Of course I wanted to include more, but here are ten of my favorite blogs I’ve put together in order by date. I handpicked these joints myself so make sure you check these out! I’ve never written a full album review until now. 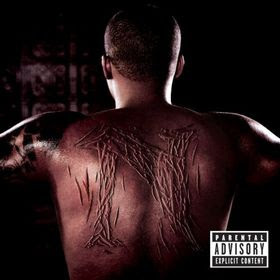 With Nas being one of my all time favorites, I felt it would be a great start to begin my legacy by reviewing the controversial Untitled album. Last Summer CNN aired Black In America, a documentary about the lives of African Americans and what we experience in school, the job market, and in our households. Along with the full documentary, I included my thoughts on the footage. The Summer is typically filled with hot music and more club oriented tracks. With so much music being dropped in the course of three months, I decided to narrow it down to the best song of the Summer. 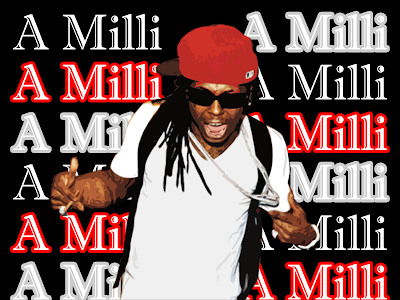 I posted a poll as to what is the song of the Summer, and the winner was “A Millie”. The artwork I created makes it one of my favorites automatically. I also view this blog as a time capsule of the Summer of 2008. I Went to the MTV VMA’s! This past September, I attended the 2008 VMA’s at Paramount Studios. I was in the presence of numerous celebrities and I witnessed the awards ceremony live. It’s only write I had to blog about my experience. 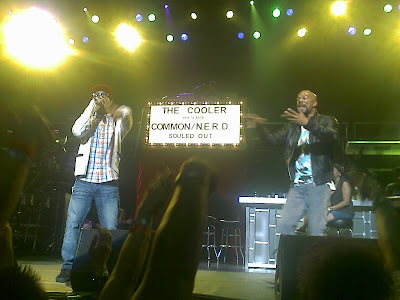 In the amazing month of September, one of the many things I did was hit up the Common and NERD concert at The Wiltern out here in LA. The show was dope and it featured the latest and the greatest from two of hip hop’s most innovative artist. My boy Bart got to rock with NERD and Common even shouted me out in a freestyle. Ever since I saw the Spike Lee Joint, She Hate Me, I was hooked. Then when she appeared on NBC’s Heroes, she went up in my book. If you’ve been sleeping on the beautiful Dania Ramirez, make sure you check out this blog. Anyone who knows me personally knows that I have a way with putting rhymes together. Apparently KING Magazine recognizes the writing talent and decided to publish one of my 16’s (for the third time) in the October issue. I was honored to win and it brought me one step closer to my dream of making it. 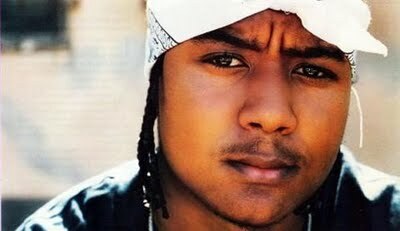 Since ’08 there’s been a new wave of hip hop artists. 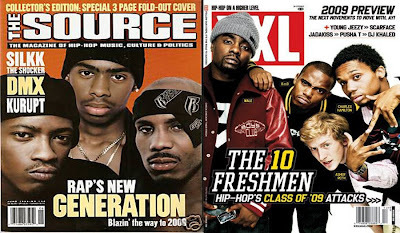 The emergence of new artists gained recognition from XXL Magazine with their three-cover issue introducing the new hip hop acts to the world. With the issue hitting newsstands, it caused me to compare today’s newbies to the 90’s newbies. Coming up I loved Lego’s and music. 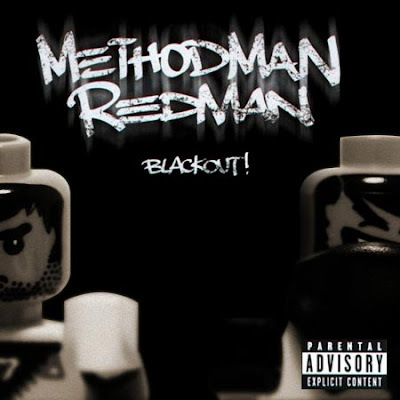 What would be iller than redoing classic hip hop album covers with Legos? The covers bring back memories and are also humorous and creative. Ever since I was a young’n I loved music videos because they bring the songs to life and can also be artistic. Over the past couple of years, music videos have became cliche and started losing their artistic appeal. Therefore, I put together my ten favorite music videos of ’08 which I felt kept the art form alive.